SkyBox Labs Monthly – January 2018 | TASTEE Updates, Idle Intelligence Updates & Game Jams! 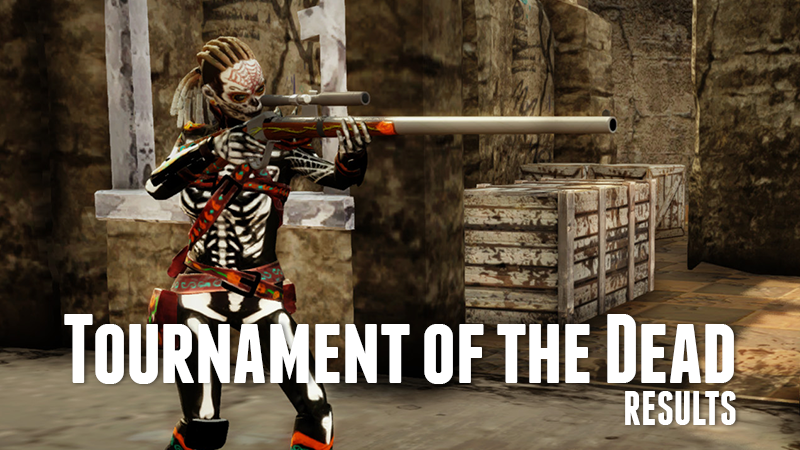 TASTEE: Lethal Tactics Tournament of the Dead Results! The TASTEE team is finally ready to let Halloween go now that the Tournament of the Dead has reached its conclusion! This one of a kind competition tested players’ resourcefulness with different rules for each round: every participant was required to add infamous bomber Hudson to their team for round one, the second round saw intel mercs like Augustus and Zeke banned, and the finals got rid of bombers altogether. These rules gave way to different strategic approaches and very close matches, where 3 rounds could go by with no kills whatsoever and then suddenly have both players down to their last merc in the next. The player who managed to emerge victoriously from these intense matches and is now taking home the TASTEE Trophy is SobeR999! We also want to congratulate Passy Kundovich and Lord Newbie for making it to the finals and everyone else for participating and making this tournament possible! -> Check out the highlights! While Idle Intelligence is still in an early Alpha phase, one noticeable difference is the attention that we’ve given to the Hardware screen. 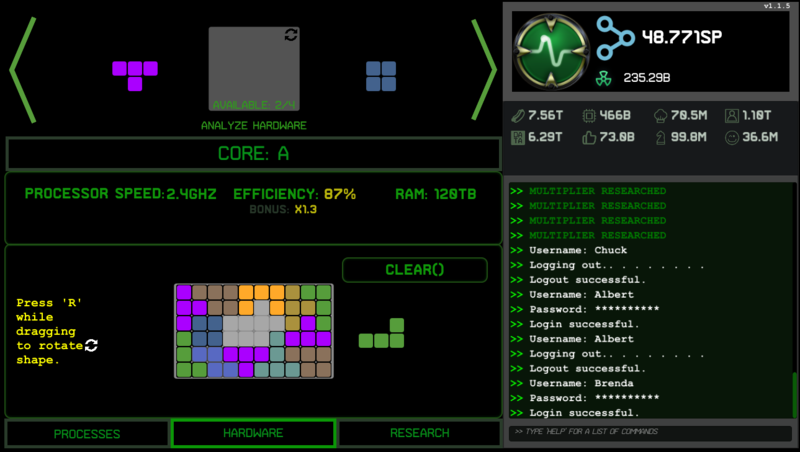 The player can now unlock the ‘Efficiency Bonus’ which gives a multiplier to any Shape in the hardware based on how full the Core is. There is a big incentive for placing Shapes in just the right way to get the Core full. We have also connected the leveling-up of the Processes with their usefulness in the Hardware. First, you earn the ability to rotate the Shape, then you earn more Shapes that you can place into the Hardware. Finally, we have an exciting new feature on the way called Quantum Decryption. It’s quite a big feature and we hope the players will love it. Expect it soon! 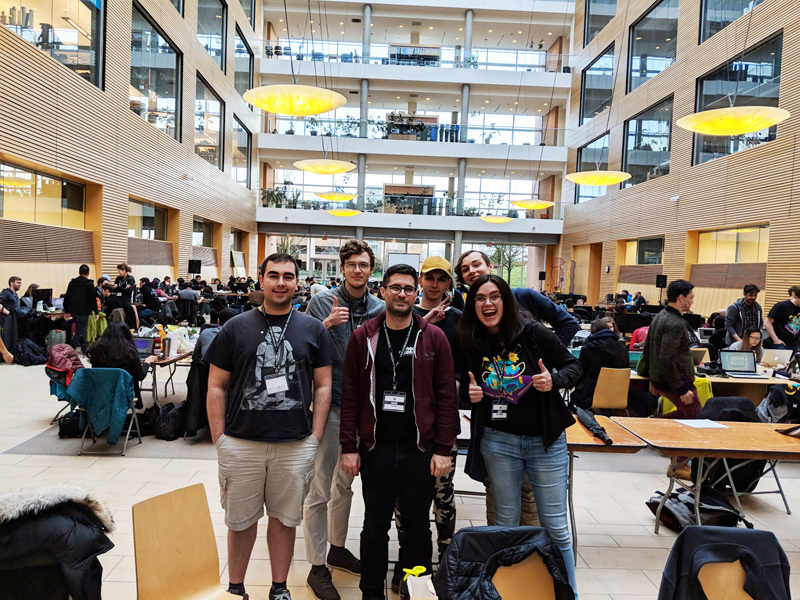 Global Game Jam Vancouver 2018! We’re proud to once again have been a sponsor of this year’s Global Game Jam Vancouver. We even had a few SkyBox crew and alum jam on some games! Check out their awesome entries: The Wireless Tower of Cat Pics, and Power Surge!